According to a representative of Liberty Korea Party, President Moon Jae-in's emphasis on "tentative" nature of the deployment of US THAAD makes it seem as if it could be stopped at any moment. MOSCOW (Sputnik) – President Moon Jae-in's emphasis on the "tentative" nature of the deployment of US Terminal High Altitude Area Defense makes it seem as if it could be stopped at any moment, a representative of the Liberty Korea Party (LKP), the country's second-largest party, said Saturday. Moon reportedly said on Friday that the deployment of four additional THAAD launchers, completing a six-launchers battery, was the best solution given the North Korea and crisis and stressed that it was tentative and the final decision on the use of THAAD would be made based on its impact on the environment. "President Moon only repeated the words 'tentative deployment.' 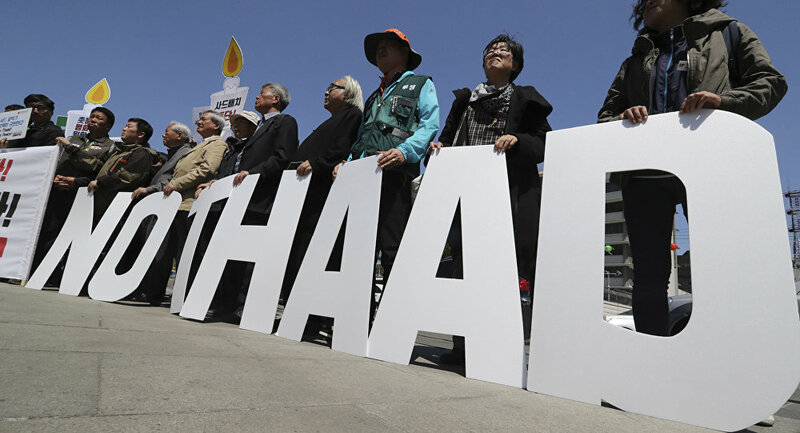 This is a double play that sends the signal that THAAD can be pulled out at any time," Kang Hyo-sang, spokesman for the LKP, said at a briefing, as quoted by Yonhap News Agency. Kang reportedly praised the president's decision to deploy THAAD, but said that the Friday statement contained many excuses aimed at the forces protesting the deployment, and China, which has also been critical of it. According to the LKP spokesman, Moon should have apologized for wrongful claims about THAAD's negative impact on the environment, made by some lawmakers from the ruling Democratic Party of Korea. 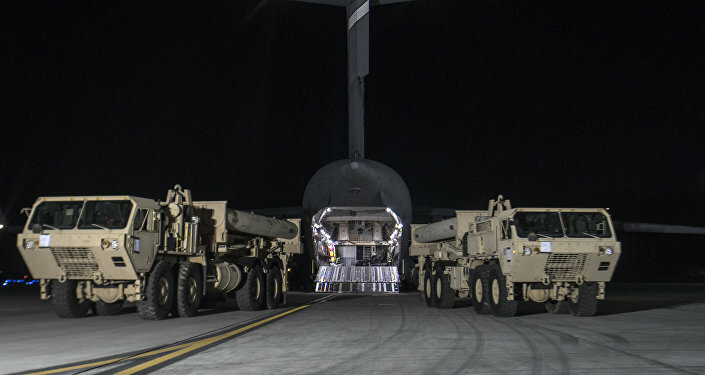 The decision to install the four remaining launchers was made amid the growing tensions regarding North Korea's ongoing nuclear program. Last Sunday, Pyongyang said that it had successfully tested a hydrogen bomb that could be loaded on an intercontinental ballistic missile. North Korea has been carrying out its missile and nuclear tests in violation of UN Security Council resolutions. Moscow and Beijing oppose THAAD's deployment, saying it could further deteriorate the nuclear crisis and provoke North Korean aggression. Russia, alongside China, also criticized the increase in South Korea's joint military activities with Washington as a danger to the peace and stability of the region.